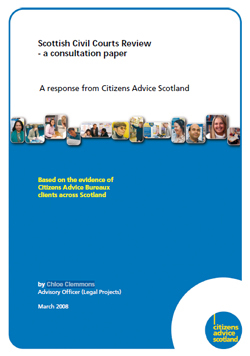 Consultation which sets out what the review considers to be the most important issues that should be examined in order to identify and assess possible options for change. CAS welcomes the opportunity to respond to this wide-ranging consultation paper. We believe that the civil justice system should be designed to encourage early resolution of disputes. However, an emphasis on early resolution should not preclude access to representation where early resolution is not successful.